A United Nations committee is calling on Canada to act on the “forced sterilization” of Indigenous women and girls dating back to the 1970s. The Committee against Torture took issue with Canada’s human rights record in a report released Friday in Ottawa. The “extensive forced or coerced sterilization” of Indigenous women and a failure to address outstanding issues related to the Tyendinaga stand-off in 2008 were among them. The committee’s report comes as groups like the Assembly of First Nations and Amnesty International sound the alarm on ongoing human-rights violations in Canada. A proposed class-action lawsuit representing at least 55 women was launched in October 2017. APTN Investigates examined the issue in 2017. 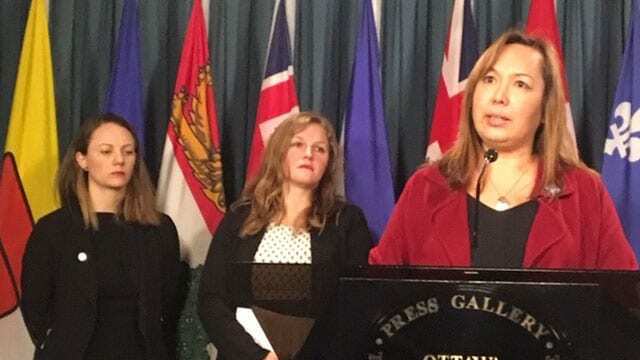 Prior to the release of the report, Justice Minister Jodi Wilson-Raybould’s office said the government is taking a “public-health approach” to the issue, though the government believes everyone must receive culturally safe health services no matter where they live. Wilson-Raybould’s office has pointed to existing provisions within the Criminal Code meant to forbid “a range of criminal behaviour” that would cover forced sterilizations, including on aggravated assault and on terminating pregnancies against expectant mothers’ wishes. The committee called on Canada to ensure all allegations are “impartially investigated” and persons responsible are held accountable. Canada should also adopt legislative and policy measures to prevent and criminalize involuntary sterilization and define free, prior and informed consent. While Canada was commended for establishing a national inquiry into missing and murdered Indigenous women and girls, the committee expressed serious concerns about continued violence against Indigenous women. The committee also urged Canada to undertake an independent review of police actions during a Mohawk land dispute in 2008. This is the second time it expressed concerns with how the Ontario Provincial Police (OPP) handled the protests in Tyendinaga Mohawk Territory. “In the previous review of Canada and now in this review, they keep coming back to this and saying there has to be accountability,” said Craig Benjamin, who works for Amnesty. For the last decade, Amnesty International has been pushing for that accountability over what it calls an “excessive” and “disproportionate use of force” by the OPP. 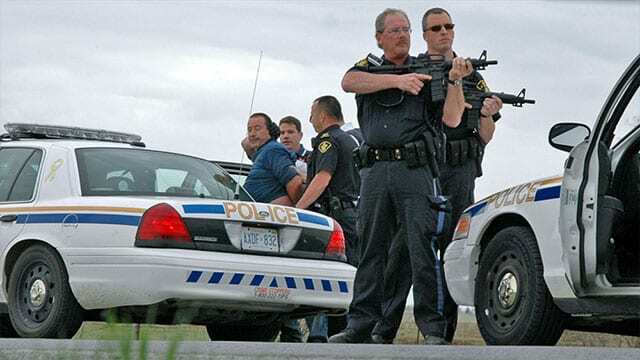 The OPP had deployed over 200 officers to police the Mohawk protests, including the Tactics and Rescue Unit, commonly called the sniper squad. After five Mohawk men were arrested in April, 2008, they were kept in nylon restraints – or zip-ties – for up to 13 hours in cells at an OPP detachment. In 2016, the OPP did an internal review and claimed that the use of zip ties on the Mohawk men in custody was reasonable. Benjamin said there are too many serious questions to leave it at that. “It’s that possibility that police officers sworn to protect the public would use those powers to deliberately inflict harm, or try to hurt these men, humiliate these men by keeping their hands tied for hours and hours,” said Benjamin. When the UN committee reconvened in late November, Canada’s response was that it was satisfied with the OPP’s internal review and had no plans for any further investigation. The UN report made note that “the committee remains concerned about the absence of an independent inquiry into the allegation of ill-treatment and excessive use of force against Mohawk men detained by the OPP during the protests. “What we have here is a very strong message that simply having the mechanism and the possibility of justice isn’t good enough if you fail to use them,” he said. APTN Investigates produced a two-part documentary on the protest. Dan Doreen is a Mohawk land defender and one of the men arrested and zip-tied in cells in 2008. He’s thankful to Amnesty for bringing the concerns forward, but he’s not optimistic anything will change. In November, Amnesty sent a letter to Ontario Premier Doug Ford asking for an apology and independent review of police actions. No response to date. “We have the next Mike Harris as the premier of Ontario and I don’t expect anything good to come from Doug Ford,” said Doreen. Doreen said he’s happy to have the story out there people know what happened. There’s no mechanism that forces Canada to comply with the recommendations from the United Nations committee. “What we do have is public pressure,” said Benjamin. “It can lead to this moment where the public says the government response to say we trust the police to investigate themselves, isn’t good enough,” said Benjamin. APTN requested comment from the OPP but was told its new commissioner doesn’t officially start until December 17. APTN did hear back from Public Safety Canada, which said it was up to the government of Ontario to respond. That is total and reprehensible discrimination against a person’s will. First, they are human and deserve to be treated as human beings with rights to make choices of their own. They should not be forced to become sterilized, mistreated, defeated by governmental agencies just because of age, conditions, beliefs, etc. I’ll admit that I do not know what Canada’s Law are but I do know that forcing people to become sterile in wrong however you want to look at it. I believe there is a special place in Hell for persons who perpetuate this kind of doctrine. when humanity lives under unjust treatment & colonial law innocent ones feel left out of govt legislation. we are living under the gun,in the age of “disorder” and no respect. We are hoping that the canadian govt will publicly explain why .